As good as it is (and it’s a darn good phone, as we discovered months ago when reviewing it in great detail), the Galaxy Note 9 was never worth $1,000. Fortunately, both Samsung and third-party retailers like Best Buy and Amazon seemed to acknowledge that fairly quickly, trying many different ways to sweeten the deal in the face of intensifying competition. Right now, you can get the S Pen-wielding powerhouse from its manufacturer with a bunch of gifts valued at over $300, while Best Buy’s early Black Friday deal lowers the handset’s actual price by $300 with Verizon and Sprint payment plans. Even so, eBay is still the place to go for the heftiest savings. Hot on the heels of a $675 listing from seller Sobeonline1, which has gone up to $710 in the meantime, Never MSRP is dropping the price of its own factory unlocked stock to an almost ridiculously low $649.99. That’s an incredible 350 bucks off the Galaxy Note 9’s standard list price, and although there’s only a “limited quantity” available at that price, you can currently go for a grand total of three color options. The Lavender Purple, Ocean Blue, and Midnight Black units on special offer (again) are brand-new, unused, unopened, and undamaged, but they obviously come without a valid US warranty. On the bright side, nationwide shipping is free, the seller’s reputation is pretty much flawless, and LTE connectivity speeds should be easy to achieve on GSM networks like AT&T and T-Mobile. 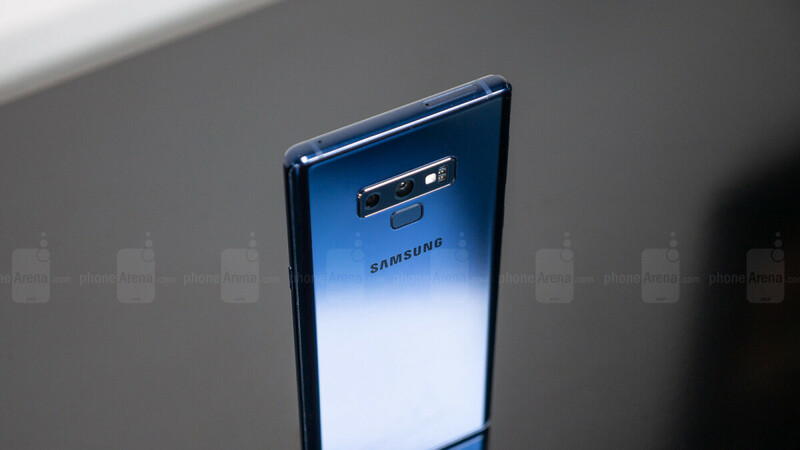 Your 650 bucks will buy you a Galaxy Note 9 variant with a Snapdragon 845 processor and dual SIM support, as well as 6GB RAM, 128 gigs of internal storage space, stellar 12MP dual rear-facing cameras, and massive 4,000 mAh battery capacity. Who knew Black Friday would fall on a Thursday this year? It's funny how much android users in these sites always talk about how superior android phone specs are and especially with Note 9, yet it looks like people really don't care at all. But of course they don't, these paper specs fanatics only lives in these mobile sites and are very minor, but very loud group. people are poor and usually android fans just don't throw away money because it's the latest and the greatest piece from their favorite brand like some others blindly doing it even though they don't have the money for it. Android doesn’t throw money because they really don’t have money. $200-$300 phones will. They don’t even think how inferior the apps they are using and and its the ads that they chose for getting free apps. I never understand why people get beholden to brands & companies. I'd understand your position if you owned Apple Stock otherwise it's just a sad sad thing. "It's funny how much android users in these sites always talk about how superior android phone specs are and especially with Note 9, yet it looks like people really don't care at all." Based on what, the price of a phone dropping? That has nothing to do with it. Your comment is very asinine but not very well thought out. Well thank you or proving how big of a fanboy and android hater you are. Note 9's price drop is great news for people that want a great phone. These cost less because they are oversees versions aka exynos. There some features like Samsung pay etc will not work in the USA, and they are only GSM.